Finance Minister AMA Muhith has ruled out the possibility of changing the current revenue collection target though there was a downtrend in the last five months’ achievement. “There might be changes in the process of revenue collection, but not in the target,” he said on Wednesday while talking to reporters after a meeting of the Cabinet Committee on Public Purchase at the Cabinet Division. He admitted that the National Board of Revenue (NBR) has failed to achieve the revenue collection target of the first five months (July-November) of the current fiscal year 2017-18, reports UNB. The NBR collected Tk 75,308 crore against the five months’ target of Tk 84,066.32 crore, showing a deficit of Tk 8,757.77 crore. The government fixed the revenue collection target at Tk 284,190 crore for the current fiscal year (2017-18). In the last five months, the revenue collection achieved an average growth of 14.28 percent while it was 16.40 percent during the corresponding period of the last fiscal year (2016-17). 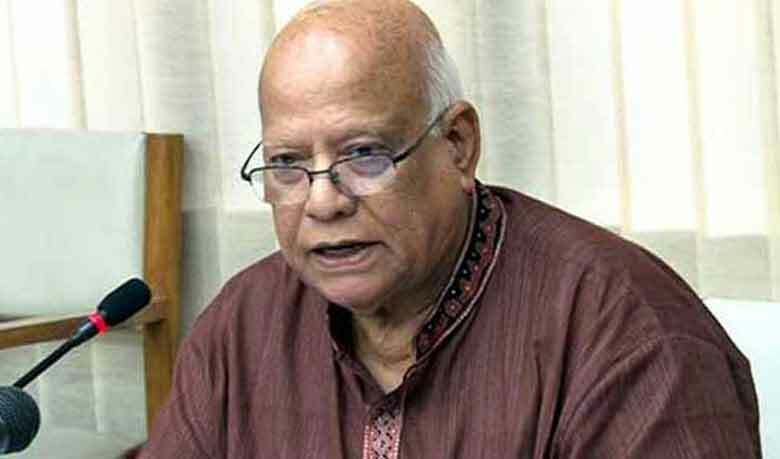 Muhith said the deficit in the current revenue collection will not continue as people will pay taxes.